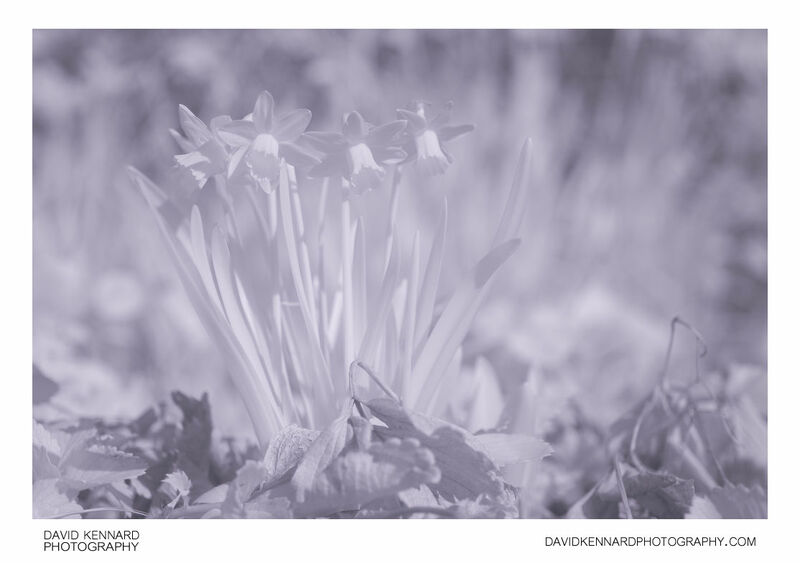 Infrared photo of Narcissus cyclamineus 'Tête-à-tête' flowering amongst dead strawberry plant leaves. In infrared the flowers have a similar brightness to their appearance in visible light. However, the plant's leaves and stems, (plus the surrounding foliage) all appear much brighter in infrared than they do in visible light.